Through a remarkable judgment on 4th Feb, a bench of Justices Ranjan Gogoi & R.F.Nariman declined constitutional validity to Sec. 6 of the Kerala Cashew Factories (Acquisition) Act, 1974. The impugned provision enabled the State Government to acquire cashew factories in public interest under certain circumstances laid down in Sec 3. In an interesting arena of factual matrix, from 1984 to 1986, 10 cashew factories were acquired after giving the mandatory notice. 36 more factories were further acquired similarly in 1988. The 10 cashew factories filed writ petitions before the High Court which were dismissed by a common judgment in 1994. The other bunch of 36 factories filed mandamus writ petitions u/a 32 which were disposed in 1994 in Indian Nut Products v. Union of India [(1994) 4 SCC 269] holding that the notices which had to be sent prior to transfer of factories to the government furnishing grounds of such action did not confirm to the requisite criteria and were hence declared null and void. Consequently, the factories were ordered to be returned back but kept it open to the government to exercise power u/s 3(1) whenever it is satisfied that any of the three conditions mentioned in it exist. The Court then passed directions in this regard. The SLP filed by the 10 companies was subsequently allowed following this judgment in 1995. For the 36 companies the orders were complied with, however, for the 10 companies they were not complied forcing them to file contempt petitions. Meanwhile, the State Government notified the Kerala Cashew Factories Acquisition (Amendment) Act of 1995 w.e.f 1/5/1984 so as to cover all the 46 acquisitions. The contempt petition was thus terminated in view of the new legislation. Section 6 of the Amendment Act is bad as it seeks to directly nullify the earlier 2 judgments without changing the basis of the law. In the Indian Nut Products case only a notice had been struck down and the Court & it was left open to the State to take over in future on the basis of relevant material any cashew factory if the conditions stated in Section 3(1) of the principal Act were satisfied. there was no question of retrospectively amending the as the Act had not been touched by the Supreme Court. Section 6 could be viewed as a provision under which cashew factories could be acquired in public interest apart from being acquired under Section 3 or Section 3A of the Act by merely putting such cashew factories into the Schedule contained in the Amendment Act. It is settled law by a catena of decisions that the legislature cannot directly annul a judgment of a court. Our Constitution permits a legislature to make laws retrospectively which may alter the law as it stood when a decision was arrived at. It is only in this limited circumstance that a legislature may alter the very basis of a decision given by a court. However, if such is not the case then legislation which trenches upon the judicial power must necessarily be declared to be unconstitutional. The argument that Section 6 contains a third source of power to acquire cashew factories merely by putting them in a schedule has to be rejected on two fundamental grounds. First, no notice or hearing was provided as in Section 3 or Section 5A of the Land Acquisition Act justice cannot be bypassed. Further, Section 6 is aimed only at directly upsetting a final judgment of a final court. Section 6 of the Act violated Art. 14 as it discriminated between the 10 factories which were sought to be taken over and the 36 factories which were not sought to be taken over by the Amendment Act. There is an intelligible differentia between cashew factories taken over by the Cashew Development Corporation on the one hand (the 36 factories) and the 10 factories taken over by CAPEX, which is an apex body consisting of cooperative societies of workmen. Reading the Statement of Objects and reasons of the amendment act, it is clear that the govt. wished to interfere with the two judgments making no distinction between factories that were managed by the Cashew Development Corporation (the 36 factories) and CAPEX (the 10 factories). There is no intelligible differentia between the two.Section 6 of the Amendment Act deserves to be struck down as violating Article 14. In any case Section 6 of the Amendment Act read with Section 9 of the original Act was an independent stand alone provision. It violated Article 300A, in lieu of the arbitrary date laid down. Article 31B would bar any challenge to the compensation provision that is Section 9 of the main Act. Section 6 merely refers to Section 9 and, therefore, legislation is not by incorporation but by reference. Court observed that no comments were required on this issue. 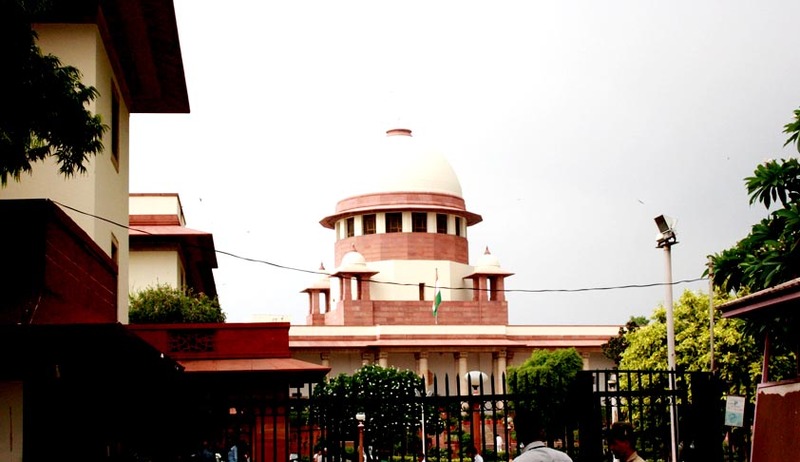 Allowing the appeal, the bench set aside the impugned judgment of the High Court and that the cashew factories and the land appurtenant thereto that have been taken over by the State under the Amending Act must be handed back within a period of eight weeks starting from the date of judgment.